These hot chocolate flavored cupcakes are easy and irresistible! Quick to come together, you can use any hot cocoa mix and end up with a crowd-pleasing treat. Hot chocolate flavored cupcakes with marshmallow buttercream frosting – it’s a mouthful, I know. But just look at these delectable tiny cakes! This is the easiest recipe to come together and you can use favorite hot cocoa or hot chocolate mix (according to a friend of mine, they aren’t the same thing). What? It’s shocking that I know someone who appreciates the finer details of chocolate. Just shocking. So I did what any chocolate lover would do: I Googled it. Sure enough, there is a difference between hot cocoa and hot chocolate. But seriously, sign me up for either. Just say that to yourself lots of times: marshmallow buttercream – it has to be therapeutic. Besides, marshmallow is a fun word to say. Preheat your oven to a toasty (yet comfortable) 350 degrees. Spray a muffin tin or add cupcake liners like the rest of us too lazy to really spend time cleaning. 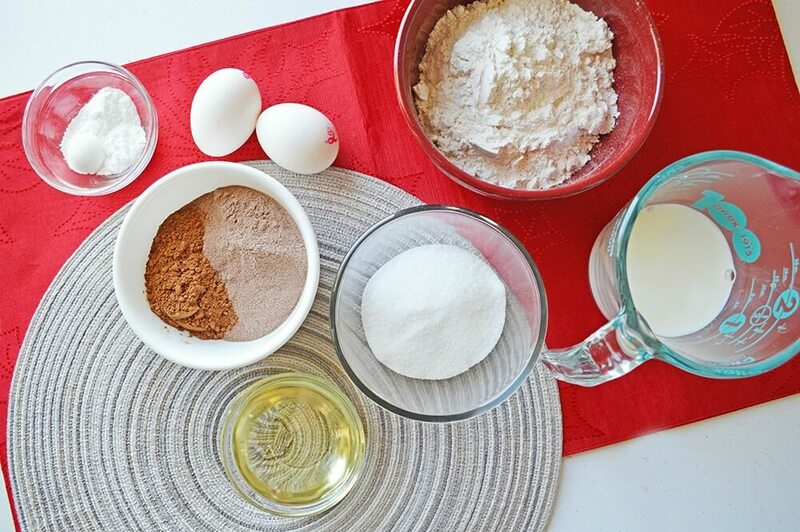 In a large bowl, mix together baking soda, baking powder, cake flour, sugar, milk, eggs, oil, cocoa, and your hot chocolate mix. Seriously, just throw it all in a big bowl. Employ your muscles or mix with a mixer 2-3 minutes, until smooth. Bake 20-22 minutes. Let cool completely before frosting (or “taste test” one of them and burn your tongue – we don’t judge here at Ruffles and Rain Boots). Prepare yourselves. 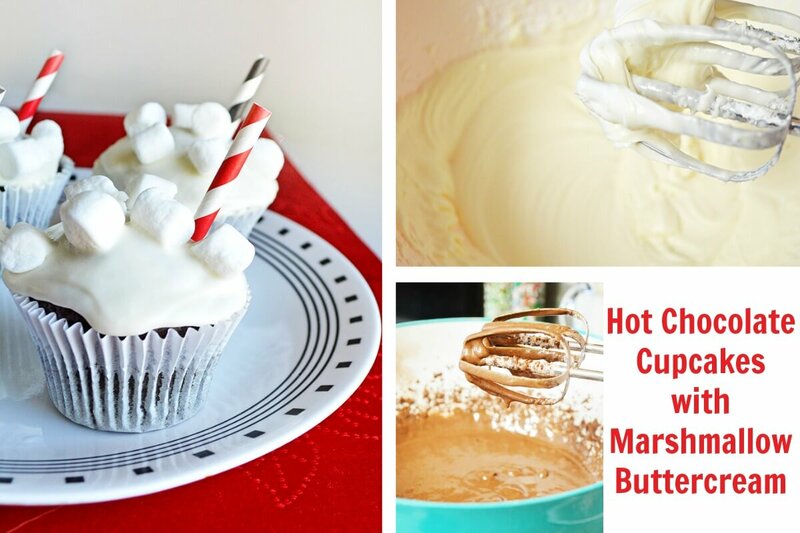 This stuff is ah-may-zing if you like marshmallows and buttercream. And it is 100% okay to lick the bowl, Y’all. 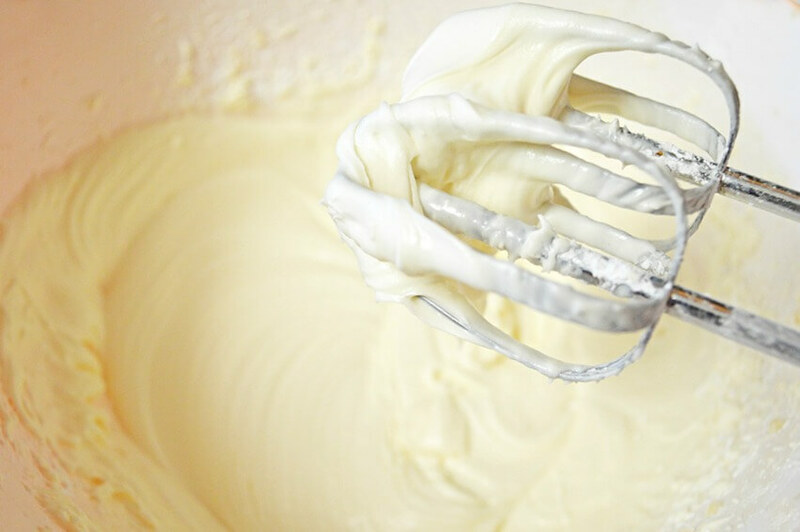 In the cupcake-mix bowl you just rinsed out, cream together the butter, vanilla, salt, and marshmallow fluff. Don’t go dumping in the rest because you want to alternate adding small amounts of heavy cream and powdered sugar. Note: if your icing is runny, add a bit more powdered sugar. On cool cupcakes, add a smidge (or a ton) of the marshmallow buttercream icing and sprinkle on a few miniature marshmallows. Garnish with a straw (and maybe some peppermint or chocolate mint shavings). Put these on your “Impress My Friends” Pinterest board! These hot chocolate flavored cupcakes with marshmallow buttercream will show up to any party and steal the show. I just experienced the amazingness that is marshmallow buttercream and I’m hooked! What a fabulous frosting. I’m not a huge fan of frosting in the first place and only can handle small doses of this but it sure was GOOD. Can’t wait to try these with my kiddos.